On paper it looked like no contest. Liverpool, the Premier League’s joint points leader and just days removed from slaying European titan Bayern Munich in Germany, against Fulham, the humble London club that will be relegated from the Prem weeks from now barring some divine intervention. 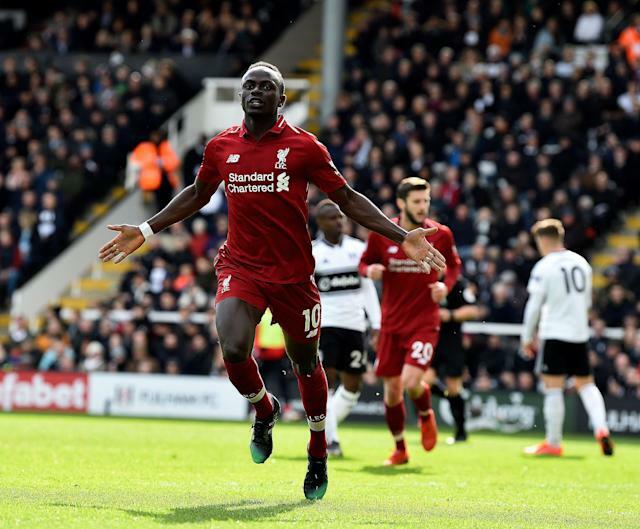 Yet a more scrupulous look at the situation might have revealed that Sunday’s St. Patrick’s Day matinee at Craven Cottage had all the makings of a trap game for the Reds following their midweek exploits. And that’s almost how it shook out for Liverpool, which rode a late James Milner penalty to a 2-1 win and all three points to stay in the chase for its first English title in 30 years. So what if the menace that was on display in Munich wasn’t apparent immediately against the desperate, well-rested Cottagers? That’s forgivable given Liverpool’s recent itinerary, and besides, the Reds still seemed in full control. 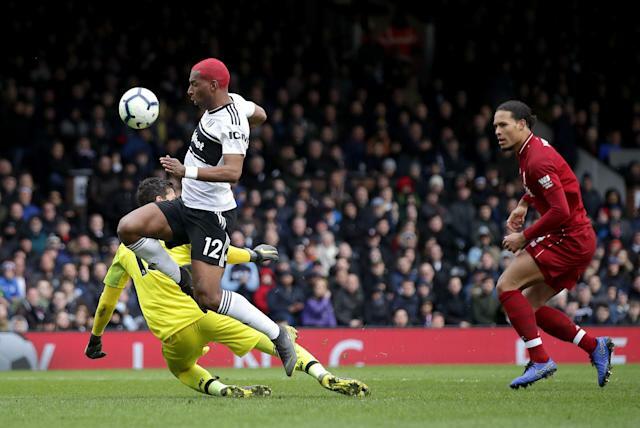 But Fulham defended well (American Tim Ream was a thorn in Mohamed Salah’s side all afternoon) and hung around long enough to steal a goal with just over 15 minutes to play. The close call might have some Reds fans lamenting their beloved squad’s continued involvement in the Champions League. After all, the triumph over Bayern guarantees that Liverpool will have to juggle two quarterfinal games against Porto with crucial league tilts versus Chelsea and Tottenham Hotspur over the next month. It’s no secret that long-suffering Reds fans want a Premier League title above all else. Unable to compete financially with historical rival Manchester United or nouveaux riches Chelsea and Manchester City during most of the last two decades, Liverpool has found its most recent successes in the world’s top club tournament instead. They hoisted the European Cup for a fifth time in 2005 and finished as Champions League runner-up in 2007 and again last year. Many Liverpool supporters would’ve been glad to sacrifice the Champions League so that Klopp and Co. could devote all their attention to finally winning the Prem this year. That’s an understandable position. But such an approach is also shortsighted. Under Klopp, Liverpool finally feel less like the sleeping giant and more like the truly elite club they were though their glory days in the 1970s and ‘80s. Suddenly, Anfield is a destination club for some of the planet’s best players. And the truly elite clubs are expected to balance commitments on multiple fronts , to perform when the pressure is on, whether it’s against domestic or international competition. After a scoreless draw in the opener against Bayern, Liverpool could’ve easily laid an egg in the decider and nobody would’ve blamed them. By routing a continental juggernaut on its own turf, Liverpool accepted the challenge of trying to win both trophies. They must continue to embrace it. Sunday’s match could’ve gone sideways. It could’ve put a serious dent in the Reds title aspirations. Instead, Liverpool rose to the occasion and found a way to get the full three points on a day when they weren’t close to their swashbuckling best. It’s the sort of result champions always seem to get.